What Do Different Dog Barks Mean? What is Your Lab Saying? 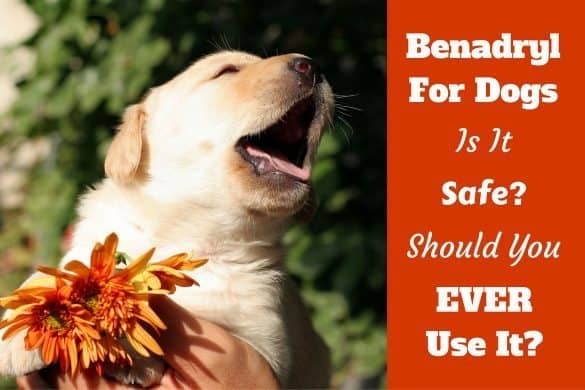 Home BEHAVIOR	What Do Different Dog Barks Mean? 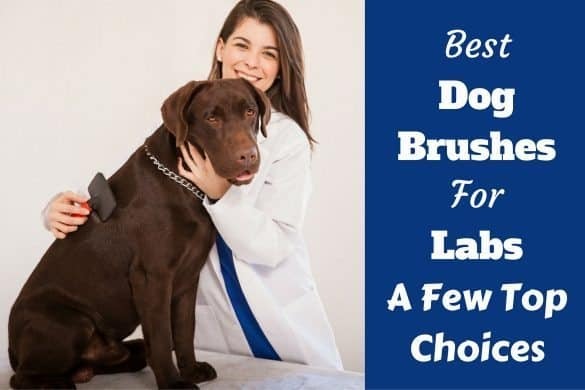 Learn What Your Lab Is Saying! Dogs are highly expressive animals and are always communicating exactly how they think and feel. Although most of their communication happens with body language, they also have a surprisingly large range of vocalizations such as barks, yelps, whines and growls. In much the same way we use words to form sentences to say different things, dogs can vary their barks depending on what they’re feeling or trying to say. And if you know what to listen for you can interpret the range of sounds your Labrador creates. Combine with this the knowledge learnt in my previous articles on why dogs bark and interpreting canine body language, with a little observation and practice you can soon learn to know their intentions and immediate feelings at any given moment. This article will detail the range of sounds a dog can make, how they vary them and what they mean. 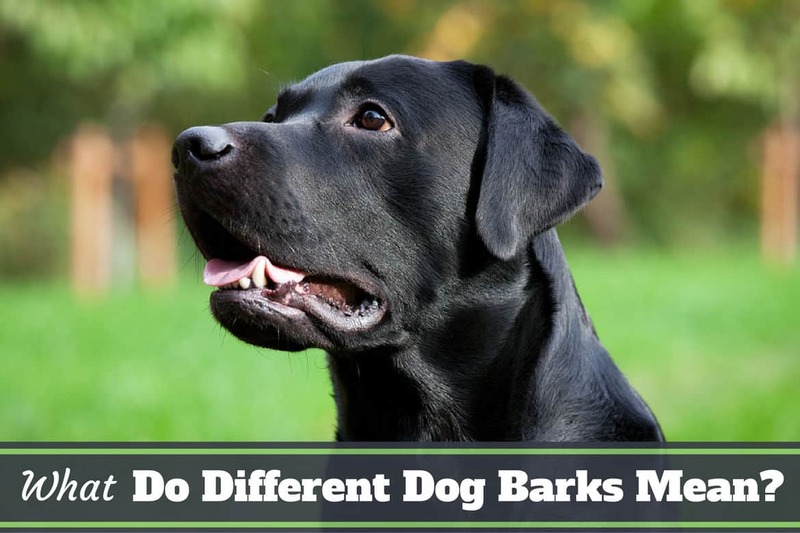 This will enable you to make a best guess about what their barks and other sounds are trying to say, ultimately helping you to answer the question: What do different dog barks mean? How Do Dogs Differ The Sound Of Their Bark? According to Stanley Coren, Ph.D., F.R.S.C., a professor of canine psychology in his article: What Are Dogs trying To Say When they bark? Dogs have the ability to alter the sound of their bark in 3 different ways. What Does The Pitch Of A Dogs Bark Tell Us? Generally speaking, higher pitched sounds are used to communicate the idea that a dog is anything from non-threatening to positively welcoming and that it’s generally safe to approach. The dog isn’t feeling fearful, dominant or aggressive. In contrast to this, lower pitched sounds generally mean that a dog is feeling threatening and possibly aggressive, that you should stay away. Basically, the higher the sound the less there is to worry about, the lower and louder the sound, the more threatening and aggressive it usually is. What Does The Duration Of The Sound Tell Us? In general the longer a dog makes a sound, the more likely it is that the dog is making a conscious decision about making that sound and hence the more deliberate the actions they’re planning. As an example, a dominant dog faced with a perceived threat will make a deep and long sounding growl which means he’s serious about standing his ground and will not back away. He’s made a conscious decision to sound out his confidence and his aggressive intentions. Whereas a more timid dog in a similar situation will make shorter bursts of growling that aren’t sustained too long. This indicates the dog is unsure and a little worried about being faced with and showing aggression and may well stand down and back away. What Does The Frequency And Repetition Of Barking Tell Us? The more frequent a dog repeats a sound, the more urgent or excited a dog is feeling about a situation. If they repeat a sound rapidly and continuously, it means they see the situation as very important and urgent. If they fail to repeat a sound or if when they do the repetitions are very spaced out, it means they’re showing little interest and aren’t particularly bothered about a situation. 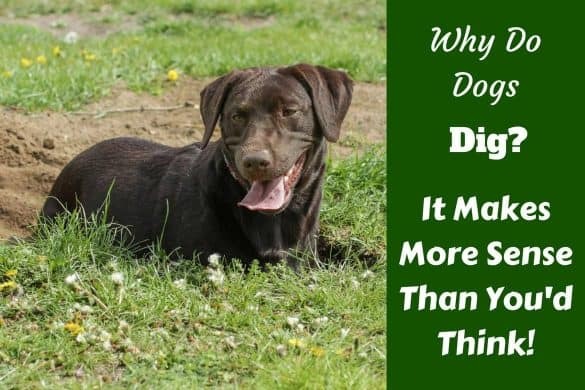 As an example, if a dog is out in the yard and barks at something once or twice over the course of a few seconds, they aren’t overly interested or placing too much importance in what it is they’ve detected. But if the same dog barks rapidly, many times in quick succession and repeats these bursts many times, the dog thinks the situation is very important and extremely urgent. I will now list and describe the most commonly heard recognizable barks and describe the most commonly accepted interpretation of them. But before I do, a little disclaimer: We don’t yet know everything there is about canine communication and some recent studies have shown that animal communication is more complex than we first thought. The same bark may have a different meaning depending on the context and the situation it’s used in. But combining an understanding of canine body language and what’s written in this article gives a very good approximation of what your dog is thinking and feeling in any given moment and is about the best we can do for now. NOTE: please see the list of sources used at the end of this article when compiling this list and for further reading on the subject. This is the classic ‘alarm bark’ and possibly the most commonly heard form of all barking. 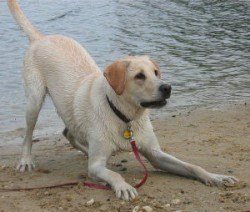 Your Lab will sound an alarm like this when they sense an intruder coming into their territory, or something is happening that needs looking into or their family needs alerting. This is the typical greeting bark that a dog sounds when they see somebody or another dog that they know and are familiar with. They’re literally saying ‘hello!’. You will also hear it from a dog that’s shooting about crazily with a canine friend, tearing around the local dog park in a game of chase with a playful bounce and sense of abandonment in their step. This is the sound of an annoyed dog who feels confident and is ready to fight. It’s also used when asking for support from their pack when faced with a threat. If you hear this there’s either something or someone they feel needs dealing with but they want help, or somebody is bothering them and should stop it and move away before they become aggressive. This is the sound of a scared or annoyed dog, but who isn’t confident in themselves to be able to deal with the situation, or who wants whatever’s happening to stop but aren’t sure about rising to aggression and being able to carry it off. The dog is annoyed but worried, may well back off themselves to end the worrying situation, but could also potentially rise to aggression. Annoyed, not confident and hence unpredictable, but definitely a sign to move away if you’re the cause of the annoyance. This is a dog’s way of saying ‘ouch!’, made when they’ve been unexpectedly hurt or felt a sharp and sudden pain, but one that instantly goes away. I’m sure we’ve all heard this when we’ve accidentally stepped on our Labs tail or one of their paws. Unlike the single yelp that is an instantaneous, quickly ending pain, a long series of yelps indicates a dog is in very serious and prolonged pain. A dog emitting a series of yelps is really hurting and probably needs help. Whimpering is a soft, low and quiet kind of sound, a bit like whining but so much softer and quieter. The dog will usually look quite sad, laying down and be very still while whimpering. A dog that’s whimpering is either hurt and suffering, but not so badly that they’re yelping, or they could be extremely fearful and deeply frightened of something. Similar to whimpering, but much louder and higher pitched, this is the sound a dog makes when it wants or needs something. The louder and more frequent the whining, the more urgently the dog feels it needs something or the stronger the feelings behind the whining is. A dog will usually be standing or sitting up and looking alert while whining. You may hear it when they’re hungry, want to come in from outside or want to get at something that’s simply out of reach. This is the bark of a lonely dog, asking if there’s anybody out there and begging for company. This is the bark neighbors will often hear and complain of, coming from dogs left alone all day or shut out in the yard at night. Like number 10, this is another sound made by a dog that feels isolated and lonely and is asking for companionship, asking if there’s anybody out there. We’ve all heard this classic sound made famous by the image of wolves howling at the moon. Do not confuse howling with the ‘Yap-Howl’ described in number 11, which has a very different meaning. A howl that isn’t accompanied by any other sound, although sounding sad, is actually not a sign of a sad dog at all. Not many domesticated dogs howl, but those that do use it as a way to communicate over long distances. To signal to other dogs that they are there and that this is their territory. This is the bark of a dog that’s saying: ‘Stop that! Go away!”. You’ll hear this from a dog that’s being pestered, that feels slightly annoyed and wants to be left alone. For example if a child is pulling their ears or tail. This is a bark sounded by a startled or surprised dog. It’s similar to the yelp in the way it’s a short, single sound, but it’s caused by mere surprise and not pain, and is lower in pitch. If repeated two or three times, the meaning changes and is used to say ‘come look’ or ‘come here’. A few short, medium to high-pitched barks is a dog’s way of asking you to look at something interesting they’ve seen. This covers the most common types of barking you will hear and their most understood meanings. But as stated before, we simply don’t know everything yet and the same bark could have different meanings in different situations. But by combining a dog’s body language, the sound they’re making as described above and specialist knowledge only you can have of how your own particular dog behaves, you should be highly capable of determining how your dog feels and what they’re trying to say. All dogs have body language and sounds they make that are common across the entire species, but nobody knows your dog better than you. 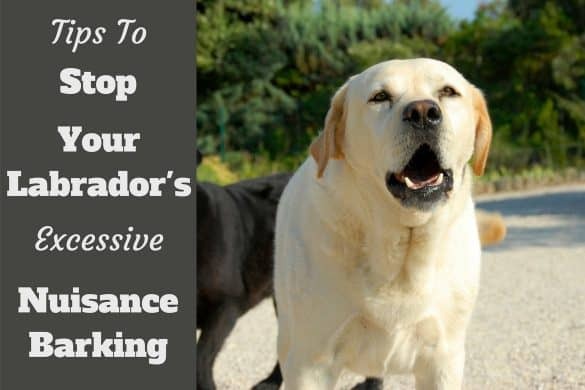 The articles I’ve shared on body language and barking give a good base knowledge to spring from for understanding your dog. But true understanding comes from spending time observing and learning about your own dog, who is an individual and may have their own little quirky ways of communicating that you will pick up on. Thanks so much for this great article. My 14 month old puppy is very well trained and socialized and loves everybody. She has never shown aggression. The problem that I am having is that she went from “growl with low pitched bark” to “growl with high pitched bark” after being subjected to overly exuberant “dog lovers” who would not heed her verbal displeasure at being given so much attention before being properly introduced. She has no problem when people give her space and allow her to approach with out trying to make excessive advances on her. She is a quite attractive dog and people can’t seem to stop themselves and we’re not deterred by her low barks. They think that they can overcome her displeasure by advancing further towards her because “all dogs love them”. She has now reverted to a high pitched warning bark, which people recoil from as it gives the impression to others around that they are hurting or scaring her. In my opinion she is just reverting to what works which could be ok as a temporary solution but I fear that she is becoming distrustful and may become unpredictable. Besides that I dislike hearing her using this high pitched bark. I do discourage people verbally from approaching her and also put a vest with the words “DO NOT PET” printed, which does help but she still does get into situations where the scenario plays out. She actually wants to meet people and approaches them but reacts badly when they walk directly towards her with arms outstretched. I don’t know if this is just the way she will continue to act or if she will revert back to being more confident as she matures. I would be happy if she would go back to using her confident bark. Any advise would be greatly appreciated. Thanks in advance. I have to admit I’ve never had experience of this with my dogs…Whenever somebody approaches, they’ve always been somewhere between over-excited and happy to greet through to completely unbothered and almost ignoring the person as if they weren’t there! So I can’t speak from a place of experience I’m afraid, but I will try to offer advice. I’m glad you describe your lab as ‘my 14 month old puppy’. Many people forget that! 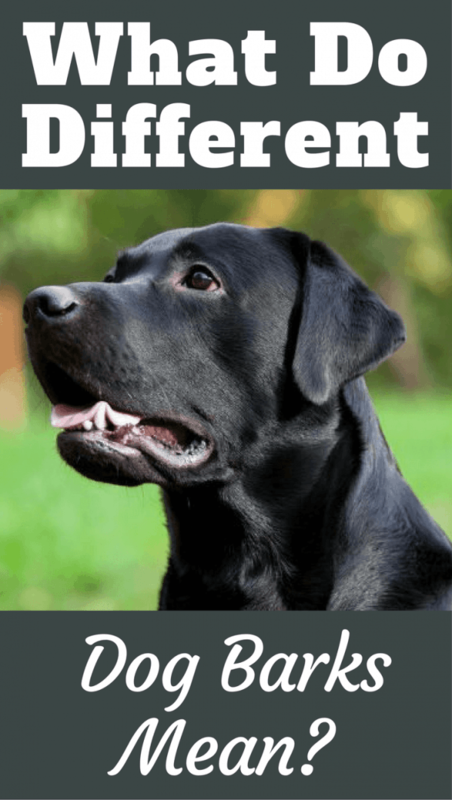 Labs may reach full height at 12, 14 or 16 months (but of course still ‘fill out’ until much later), but a 14 month old full-height lab is very much still a puppy / adolescent and may not have a fully matured adult brain until 2.5 to 3 years old! At this stage of life, when a puppy is maturing through adolescence into adulthood, is when a puppy’s drives begin to mature and come to the surface. 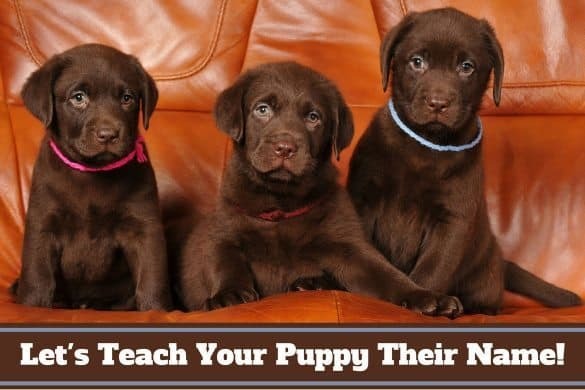 It’s possible that some experiences your puppy had earlier in life, or small fears that developed are now manifesting themself in this behavior as your puppy’s defense drive is developing. Additionally, adolescent dogs go through phases where their behavior can change dramatically for just a few days or weeks, then go back to something resembling more normal. There may be days where it seems all training has been forgotten, they seem a bit wild etc. Analogous to a 14 year old teenager with their mood swings and odd behavior that can be outlandish for a couple of weeks before reverting back to normal. But there’s also the fact that some dogs just don’t like to be approached and petted! Dogs are individuals and as ‘mans best friend’ we all assume that every dog will jump for joy, roll over and beg for a belly rub whenever we simply reach out a hand. But some dogs would just rather be left alone sometimes, much like some humans. Finally, you say she is well socialized and very well trained. I’m guessing it’s you that provided or provides this training? If so, you and she will have a very tight and close bond. And maybe she is feeling defensive and protective toward you? I do agree with you that she is likely reverting to a learned behavior that when she barks like this, the bad person goes away. It worked once, twice, three times…why not do it again? If she wants some distance between her and a person she feels defensive toward and has found a behavior that achieves that goal, (barking loud and high pitched) then that’s the behavior she will present to get the goal she desires. Either way, it’s quite hard to offer sound advice as to how you can go about solving / changing the behavior without knowing exactly what’s triggering the behavior, or why your dog is behaving this way. Is this behavior seen only when on leash and is approached? Or when off leash too? Maybe she is leash reactive and this is something you can look into. Is it only with certain people approaching? People wearing certain things? Black people, white people, people in hats, small people, large people, people in glasses, just men, or women? Is there any such constant? Or is it with ALL people? This will help finding a possible fear if so. Whatever you do, you need to teach her that an approaching person is not a threat and she has no need to react the way she does. You have everything in hand and the person is non-threatening. It could also be there’s things you’re unknowingly doing when a person approaches that fuels her behavior. You having been through the scenario lots of times, when a person approaches, you might think internally ‘oh no, here we go again!’ and your dog will pick up on this. They can detect the subtlest of changes in you. While you’re thinking: ‘stay calm, stay calm, it’ll be alright’ your dog may be picking up on this and thinking: ‘a person is approaching, and my owner is tense and worried again! I’d best get defensive and bark them off!’. We can unknowingly spark and fuel such behaviors. Have a little read of the following article on counter-conditioning (there’s 4 pages of it, please read all 4 pages linked to at the end of each page). Finally, you’ve said she’s never aggressive. That’s great to hear and does make it something you can, for now, invest some time and thought into yourself. But the very instant she shows any first small sign of aggression, please consult a professional animal behaviorist (your vet can recommend one) and enlist their help before things escalate over time. Thanks for all the great information. I must tell you that reading your response sent me on a dive into reading everything I could about Counter Conditioning and Dog Body Language including Calming Signals. I can summarize what I have changed in my dog training-interaction by saying that I have a much more positive view of my interactions with my dog. I believe that she is reacting in an overly excited outlook on the world. Especially with the boost in energy she seems to have gained in the last month or so. In my view she is not protecting me, instead she is just overly excited about everything around her. To answer some of your questions, she reacts when I am near or far, leash or off. What she reacts to is excited human behavior, no matter who it is. As I write this, I realize that she acts much the same way to ill mannered dogs! I believe my mistake has been in being too harsh with her, in trying to quell some of her canine excitement in reaction to the outside stimuli. Instead I have been using a combination of treats, and praise, with the odd physical reprimand when absolutely necessary. I’m not saying it has been easy for me or seamless. She has her ups and downs, but overall she has improved greatly. Definitely a more positive approach on my part. What I attribute the real turnaround to is the way that I engage her. No matter what is going on around us I make sure that she is focused on me. If someone is getting excited or any other distractions are happening I just increase her focus on me. It is a lot of extra work but now that I am getting used to the idea, I can’t imagine another way of having a dog in my care. I watch her and she watches me. The world around us is of smaller consequence. No need to over-react. The real action lies with me, not in outside sources. What a revelation! I will post further results in the future. Thanks again! Your input was what I really needed to push me through this! Sounds like you’ve been hard at work reading a lot and putting lots into practice. It’s great to hear you’re seeing some good results from your efforts! I’m hoping for some interpretation help. My dog lets out an awful scream, often but not always triggered by sirens. I have hears dogs imitating that sound, this isn’t it. He starts with a high pitched, throaty, almost growl, which continues for 5 or so seconds until it rises in volume and intensity until it sounds quite a lot like the classic sound of a seal. A series of short, high pitched, screeching back-to-back yells that continue without interruption for a minute of more. When he is making this sound, he will not let anything interrupt him, not me, not even food, nothing. Eventually it subsides into a whimper, and he may whine softly for a minute or two after as well. When a siren first comes into his hearing, he tilts his head side to side as if trying to understand what it is saying, then the scream described above begins. HOWEVER… he will occasionally just sit up and scream, no motivating siren at all, even in the middle of the night out of a sound sleep. Initially I interpreted this as a sign of pain, and perhaps it is, but why is it linked to sirens so often in that case? Could they be hurting his ears that badly? And why is he doing it sometimes without a siren passing at all? Oops, wanted to add that the repetition sounds like a seal, but not that low gruff pitch. I’m afraid that’s out of my realm of knowledge, to be able to interpret every sound. The above article is just a guide and some dogs will make sounds generally accepted to mean one thing, when they mean another. So they aren’t alwasy 100% correct, just far more often than not. But to be able to determine exactly what one single dog is doing is very hard. I would say your best bet would be to film it when it happens. Take a video from your mobile phone, and upload it to multiple dog forums to get many opinions on it. That’s the path I would follow, as hopefully then an expert may see it, or somebody who’s dog does the same thing and found the answer. 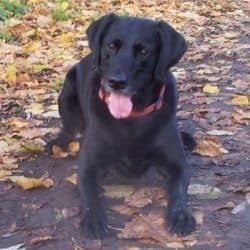 Just come across your site> My Labrador, Max, is an old guy 13 yrs 10 mths and although seems to have recovered from cancer which was treated with chemo last yr and apart from arthritis in his back legs, loves his walks, eat well and no other physical problems. However, for the past week he has taken to barking in the middle of the night – a bit like your (1) item. Naturally I go to investigate but can’t home in to what is bothering him, ie needing out etc.. Do you think perhaps he is suddenly feeing vulnerable in the dark (he sees Ok but is definitely deaf) and leaving a light on would ease the situation. He has always been a well trained pet and never been aggressive to any other dogs.